Aviva Life Insurance Company is a partnership between Dabur Invest Corp and Aviva Group and is one of the most reputed insurance companies in India. 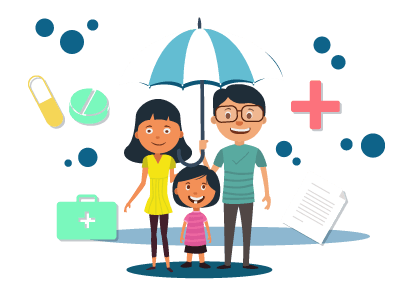 It is known to provide a variety of insurance products to its customers and has also got one of the best customer care services as well. An existing or a new customer of Aviva Life Insurance may get in touch with a customer care agent by calling the toll-free number 1800 - 103 - 7766. In case they are unable to get in touch with an agent on the number given, they can call the number 0124 - 2709046. A customer can send in his/her query by sending an email to customerservices@avivaindia.com. If he/she does not receive a timely response or is not satisfied with the solution provided, he/she can escalate the matter and send an email to complaints@avivaindia.com. One can send an SMS in case of any query. The person will have to type ‘ASK AVIVA’ and send the message to 56767. A customer will have to visit the official website of Aviva Life Insurance. Head over to the ‘About Us’ section, where on the bottom right hand side of the page one can spot an icon called ‘Chat with Alisha’. The person will have to enter his/her name and click on Get Started. A dialog box will open, where a person can get his/her product related doubts clarified. A customer on visiting the ‘Contact Us’ section on the official website of the insurance company will notice a section called ‘Register a complaint’. Under the section, he/she will have to click on ‘Lodge your complaint online’. A new page will open where the customer will have to enter the details as asked. On entering all the information, he/she can click on the Submit button.